More proof that WW2 saw Japan become an Anglo/American protectorate, and of course, a unwilling host to worldwide psyOps and propaganda. It’s amusing that unlike phony cult leader Manson, they don’t bother aging their phony boogeymen. I guess they figure their people are too busy working. As usual, no official names, referring to the media sources, indicators of a hoax. It’s a strange story that a cult would want to kill random people. I thought cults were interested in recruiting and converting. The usual storyline is they kill themselves, after the cult leader has exhausted his supply of nubile female devotees, and decides everyone should suicide themselves when the believers start questioning. 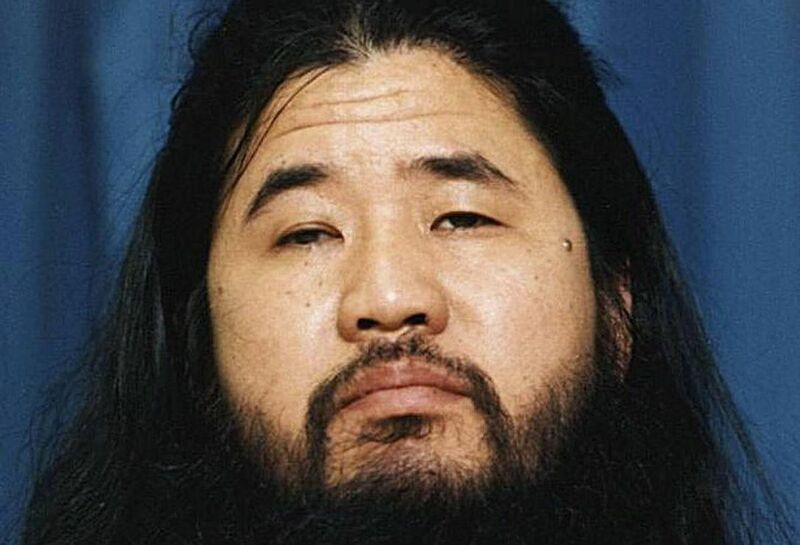 Doomsday cult leader Shoko Asahara and several followers were executed Friday for their roles in a deadly 1995 gas attack on the Tokyo subways and other crimes, Japanese media reported. The top Japanese government spokesperson confirmed Asahara’s execution but wouldn’t comment on the others. Chief Cabinet Secretary Yoshihide Suga said only that the justice ministry would make an announcement later Friday. This entry was posted in Crime hoaxes, Fearmongering, Media Hoaxes, Sims on July 6, 2018 by ab.